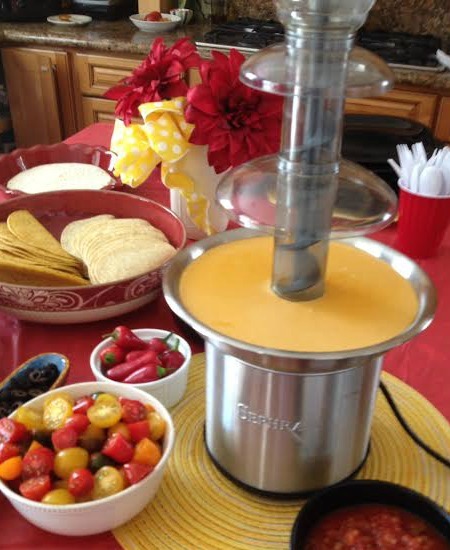 Cheese Fondue Fountain? Yes, Please! With Cinco de Mayo right around the corner, I decided it was time to take our Sephra Select Fondue Fountain for a little cheese fondue test run. People have been using cheese fondue in our fountains for years, but, I personally, had never had the opportunity to try it. I checked out #cheesefondue on Instagram. There were thousands of results, but not much with a cheese fondue fountain. 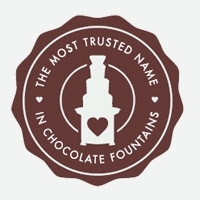 Pinterest has quite a few nice photos – happy to say most of the good ones are with Sephra fountains. 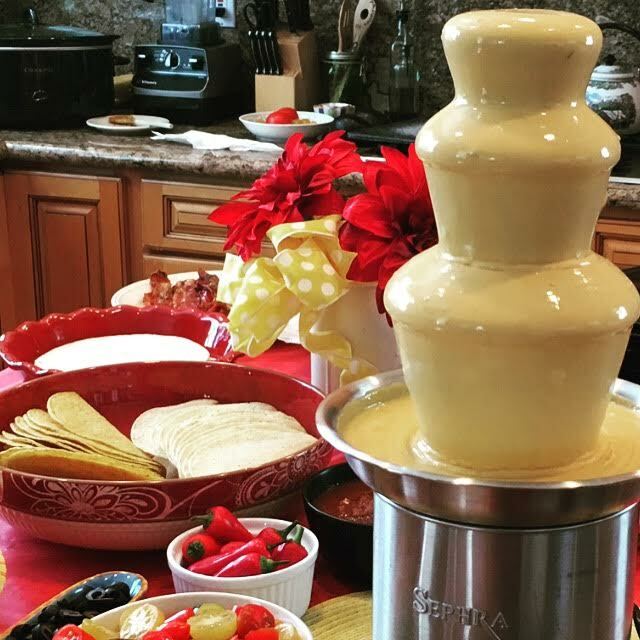 Via family vote, I am here to tell you – with any of the Sephra Home Fondue Fountains (the Sephra Select is what I used and it’s $69) you can turn any meal (even Sunday dinner, like we did) into an event! All Sephra Home Fondue Fountains have a Whisper Quiet Motor, are super easy to assemle and have dishwasher safe parts! Folks are also afraid they are too messy. I say with a little Fondue Fountain Etiquette even a three year old can be successful at dipping delightful yummy treats into the fondue fountain. 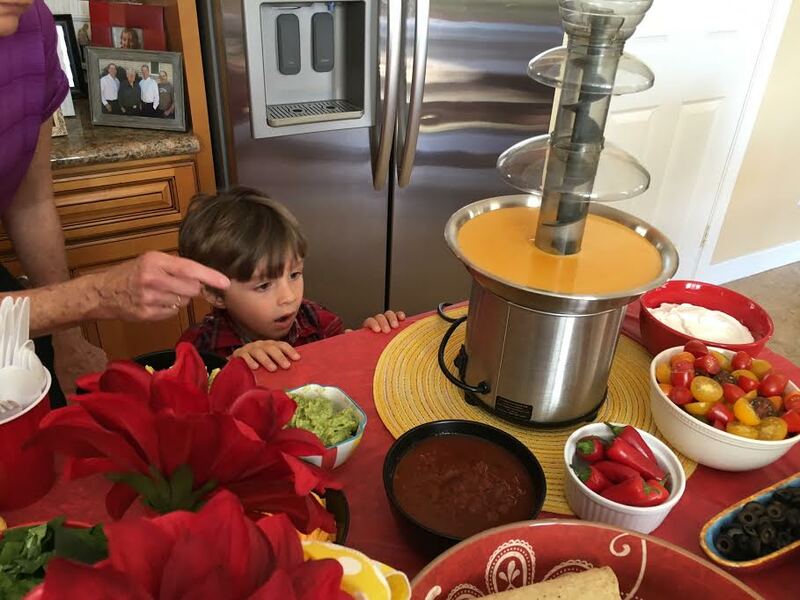 We’ve found setting rules as to how to properly use a fondue fountain – with kids and adults is a huge help. People don’t get the concept of what to do til you show them. 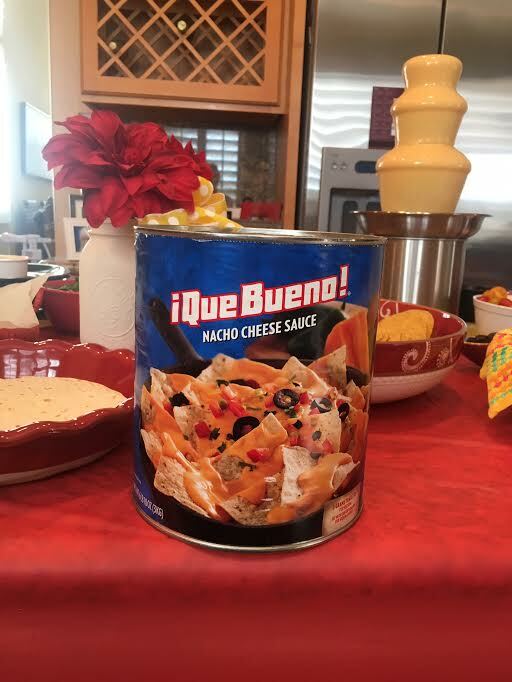 We loved using the Que Bueno Nacho Cheese Sauce. Picked it up at Costco. We used about half the can and thinned it with 2 or 3 cups of chicken broth. Other options to thin the cheese include flat beer or white wine mixed with water 1\1 ratio. Great for adult parties. You can just use water to thin the cheese, however, it cuts the flavor just a bit, so we prefer the chicken broth. We opted to use a 4 cup measuring cup to mix the nacho cheese and chicken broth, heating in the microwave as we went. Use a fork or small whisk to blend the cheese and liquid. 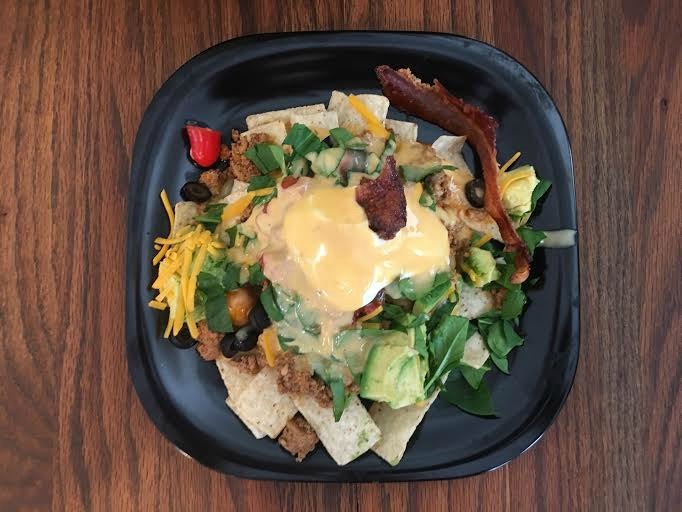 The Que Bueno has tiny bits of jalapeno, which really didn’t interfere with the smooth flow of the cheese – and taste delicious! Meantime, the fountain was on the “heat” setting as we got ready to add the cheese. 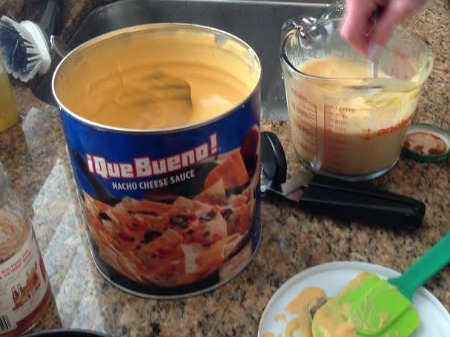 Next we easily poured the nacho cheese from the measuring cup into the base of the heated fountain. You want to fill it pretty much up to the rim. Next it’s time to find our helper to turn it on! Yay – It’s a go! Looks and smells fantastic. We are pretty excited to dig in. – Turn the fountain off for about one minute. Then turn it back on. This is known as burping your fountain. It lets excess air escape. – You may need to add more cheese. Heat it in the micro at half power a minute or so before adding. Once enough cheese is flowing and your fountain is properly burped – you should be good to go! – The cheese may be a bit thick and need more liquid. Simply pour a small amount at a time into the fountain base, using a whisk to blend it a bit. You can do this while the fountain is running. It will flow through the fountain and mix itself. When the fountain flows smoothly stop adding liquid. NOTE: The cheese shouldn’t be too thin, as you want it to be good dipping cheese when people stick chips, bacon, and other goodies right into the flow. Absolutely delicious and so much fun! We enjoyed this family dinner immensely and got our little fella a chair to stand by the fountain and dip. We taught him fondue fountain manners – NO DOUBLE DIPPING! and hold your plate up closed to fountain to catch any drips! He was a pro in no time. 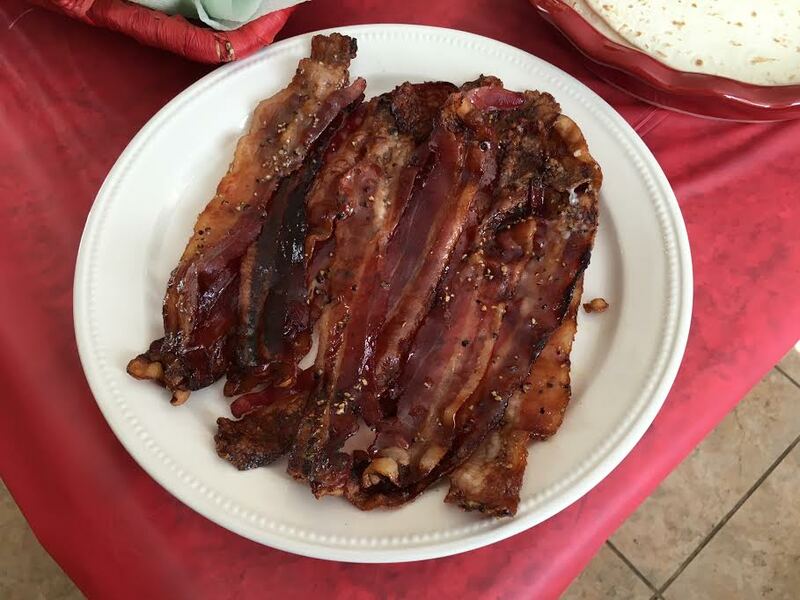 And did we mention we added Maple Candied Bacon to the dipping selection. Pretty tasty! Here’s my masterpiece. Yummy. Since we used ground turkey, chopped spinach, tomatoes, etc., a pretty healthy plate! And yes, that is bacon on top! I couldn’t resist!